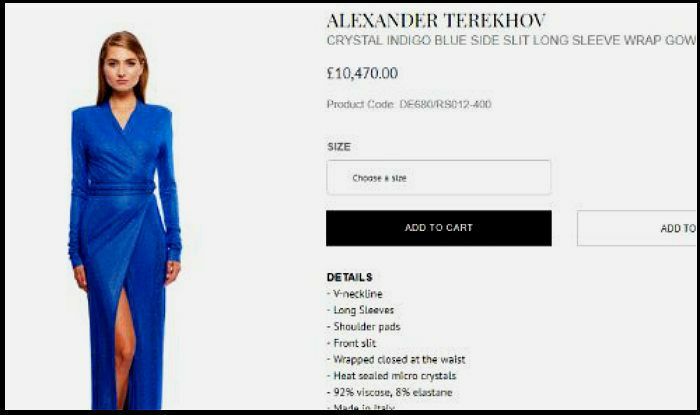 Kareena Kapoor Khan’s Crystal Blue Gown From Alexander Terekhov Costs More Than Rs 9 Lakh. Jaws Shut, Please! Kareena Kapoor wore a stunning blue coloured gown to ring in New Year celebrations. 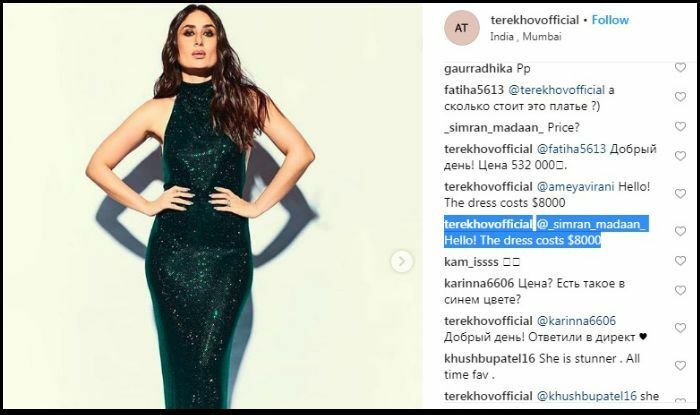 The price of that sparkly gown is sure to amaze you. 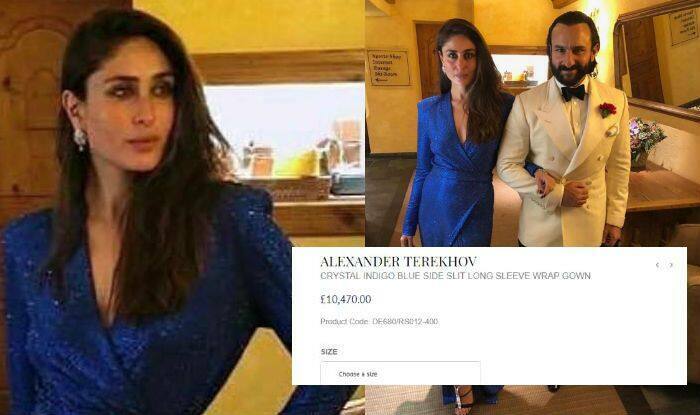 The actress welcomed 2019 with Saif Ali Khan and Taimur in Switzerland, wearing a faux wrap crystal dress that had a thigh-high slit, from Russian designer Alexander Terekhov. Kareena looked absolutely wonderful in that dress posing with hubby, who dressed up in a white tuxedo. With that body and her swag, Kareena can make even a piece of rag do wonders on her. The actress has been holidaying with family in the Swiss Alps. Their pictures from the snow-capped mountains keep surfacing on the internet, making fans asking for more. Which of the above mentioned two looks is your favourite?